Adults over 35 lose more teeth to gum diseases (periodontal disease) than from cavities. Three out of four adults are affected at some time in their life. 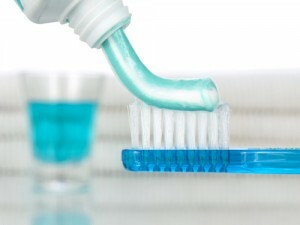 The best way to promote good oral hygiene to prevent cavities and periodontal disease is by good tooth brushing and flossing techniques performed daily. If you have any pain while brushing or have any questions about how to brush properly, please be sure to call the dental office at 321.724.1400. Dr. Maryam Brazdo recommends using a soft to medium toothbrush. Position the brush at a 45-degree angle where your gums and teeth meet. Gently move the brush in a circular motion several times using small, gentle strokes brushing the outside surfaces of your teeth. Use light pressure while putting the bristles between the teeth, but not so much pressure that you feel any discomfort. Periodontal disease usually appears between the teeth where your toothbrush cannot reach. Flossing is a very effective way to remove plaque from those surfaces and promote your oral hygiene. However, it is important to develop the proper technique. The following instructions will help you but remember it takes time and practice. There are so many products on the market it can become confusing and choosing between all the products can be difficult. Here are some suggestions for choosing dental care products that will work for most patients and benifit your oral hygiene. Daily brushing and flossing will keep dental calculus to a minimum, but a professional teeth cleaning will remove calculus in places your toothbrush and floss have missed. Your visit to our dental office is an important part of your oral hygiene program to prevent gum disease. Keep your teeth for your lifetime.